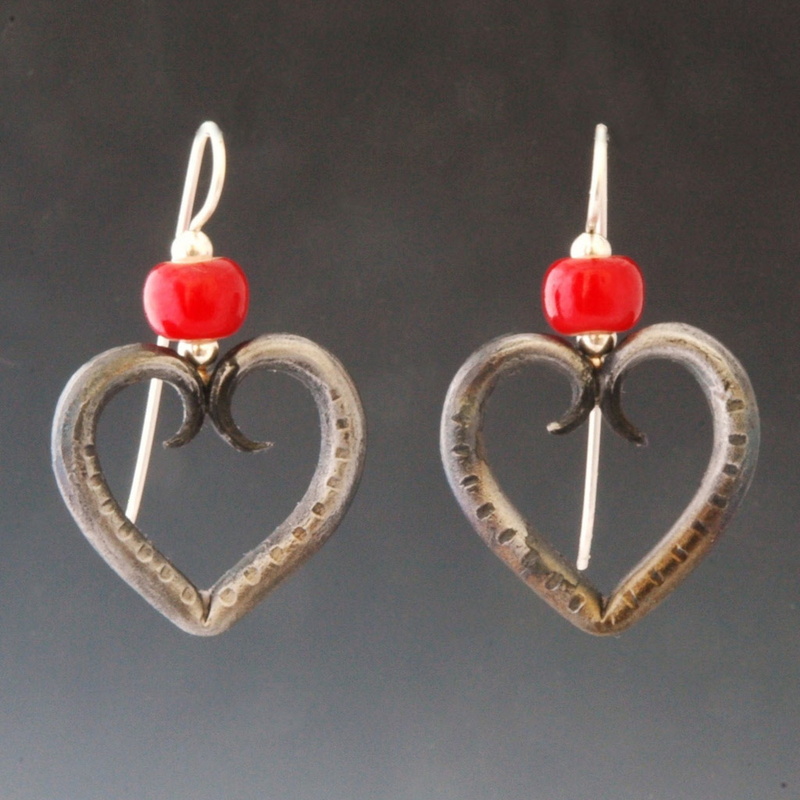 These forged steel heart earrings have delicate beaded accents. The ear wires are made of sterling silver. Compliment these fun earrings with a Sarahzona heart necklace. Bead colors vary.